Power up the WiFi puck with the network cable plugged in, but don’t go into the app. Look on the bottom for the network name and password (starts with “setup” for the network name). In your phone settings, add the setup network and use the password near the square QR code. Then go into the Google WiFi app and start the setup process for the primary puck. Plug in the puck (with no network cable) and add the setup network from the bottom label. I had to then reboot the puck (unplug and then replug power) and then go back to the Google WiFi app while the puck was rebooting, to allow the “search and find” part of the app to work. Otherwise, it would go directly to “activate mesh” and fail. It looks like the app has a problem making the setup network stick. Once the phone has the setup network added, the setup process seemed to work. Hopefully this helps you, as it took me 5 hours to come up with this solution. I was about ready to throw in the towel. However, note that once you get it setup, the system has been really nice to have. Since I’ve completed the install, the Google WiFi mesh network has been working really well. I’ve played network games off of a mesh point, made Verizon Wi-Fi calling calls on an iPhone throughout the house (and off of each of the points). It has been pretty bullet proof. If only the installation had been easier. R Pearson from Google WiFi Help Support boards. I had a big word document that had a bunch of text that needed to be turned into equations, fractions, etc. This often happens with pasting unformatted text. Thanks to gmayor at msofficeforums. This has to be one of the more frustrating installs I’ve ever done. Note that I’m not even sure how some of these changes fix the issue. I’ve just tracked it down and beat my head against the wall until I succeeded. Hopefully that helps you all install fuse-ext2 with OSXFuse. Good Luck. We need to link each header from each section back to the original header (or footer). 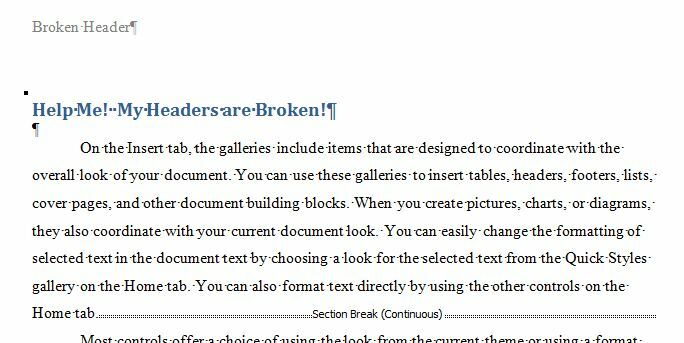 After each section break we will need to insert a new page (Ctrl-Enter for shortcut). 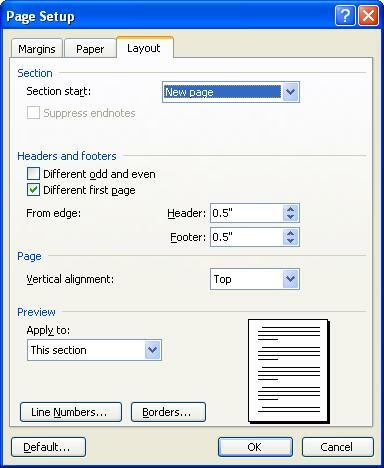 Once each section is on its own page, we can edit the header (or footer) for that section. 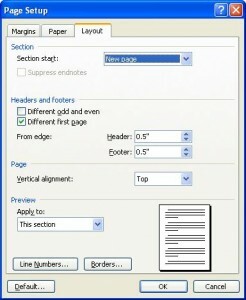 Double click on the header to go into the edit header/footer mode. The design tab (of the ribbon) should have the focus and you should see a navigation pane with a “link to previous” option. Click it to link the current header to the previous header. Do this for each section that you have given its own page (Ugh!). Once you fix the headers, you can test them by typing in a letter or number in one header and scrolling through the pages to make sure it shows up on all the pages. Once you are satisfied that the headers (or footers) are fixed, you can delete each of the new page returns. (Use the paragraph symbol on the Home tab to show them, if you have difficulty). 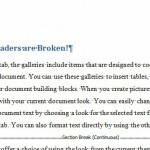 I have a bunch of continuous section breaks in my document, each seems to have its own heading. As I edit the document, my headers disappear or change. This is due to the fact that each section can have its own header attached. So if I have a bunch of continuous sections on a page that I have copy/pasted from elsewhere with their own headers (not linked), then Word will select one of the section headers (I think the top one) and use it for the page header (and/or footer). Trial and Error and a few choice words. Every time you click on the worksheet tab, the table will refresh. I was helping my brother in law work on a master spreadsheet that listed the various jobs that were being worked on. I created two pivot tables that filtered the jobs by the person who was working on it. However, when the master list was updated, the pivot tables were not refreshing. To work around it, he was exiting and then opening the file again. Yuck! 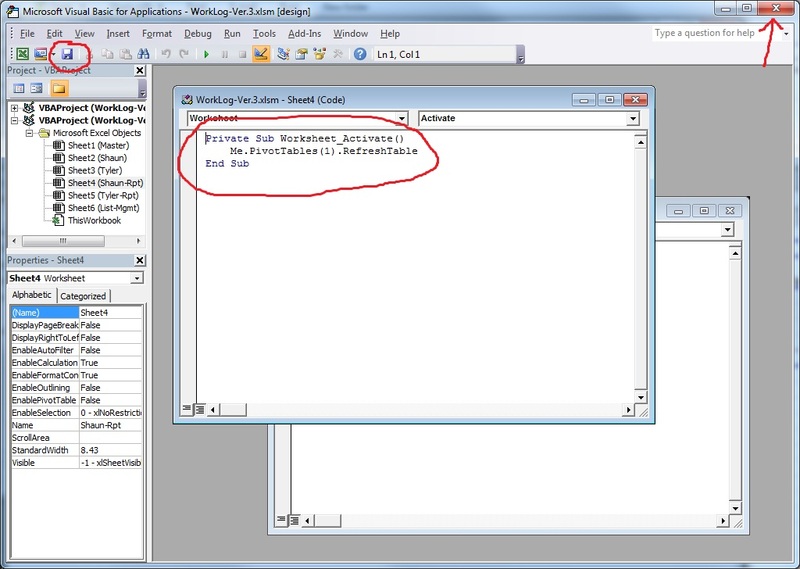 The bit of code is telling the first pivot table on the worksheet tab to update when the worksheet is accessed (i.e. activated). 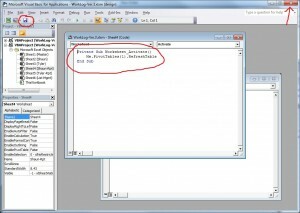 Problem – I had a list of claims in which I wanted a cross-reference to work in a cross reference window. The fields were there, highlighted as field codes, but the claims didn’t show up in the cross-reference window. Fix – Right click on the field and click “toggle field codes.” Note the name after the “SEQ” or other three letter beginning. Go to Insert -> Reference -> Caption. Click on “New Label” button. Add the name as it was spelled after the SEQ. Click OK. Click Close. Now go to Insert -> Reference -> Cross Reference and your name is now in the drop down box. Select the name and you should see your sequence displayed in the main pane in the cross-reference box. Phew! 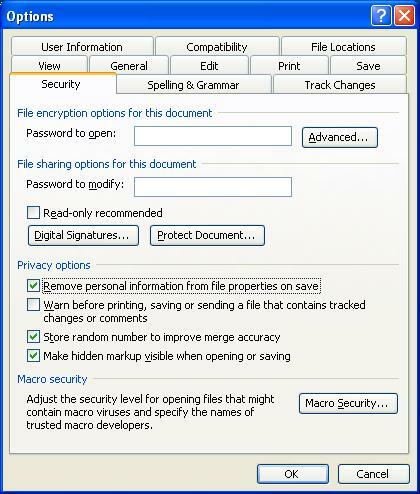 Problem: When my boss started up his computer and/or clicked on a PDF file, he would have multiple PDF windows open. It was almost like his computer was opening every PDF he had opened before. 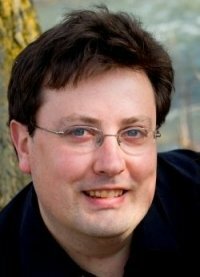 Fix: Run disk cleanup in windows. I’m told that on a mac, you should remove (and backup) a file called com.adobe.acrobat.90.sh.plist from the preverences folder. Leave the default checked boxes (although you could try checking everything) – BE AWARE that this step will delete stuff. Make sure you didn’t want anything its going to delete. Click Delete Files (if you’re sure) and wait for it to finish. Try to open a PDF file. What Happened: I’m not sure. However, I suspect there was a temporary file or command line argument that should have been deleted, but got left alone. Every time adobe acrobat (or adobe reader) started, it was fed that information and told to open those files. This is normally useful, as when you click on a file, that filename is provided to acrobat or reader. However, if the system doesn’t forget that filename, but instead adds to it – you can end up with multiple files opening. I don’t know where those temporary files reside. However, a disk cleanup seems to wipe them out.